What are the rehabilitation tax credits? What buildings qualify for the tax credit program? What work qualifies for the credits? How long do I have to complete the rehabilitation? advantage of the 60-month measuring period? When can I claim the credit? Can I sell the building after I complete the rehabilitation? Can I sell the tax credits? How can a nonprofit organization take advantage of the tax credits? How do I apply for the credit? What are the standards for photographic documentation for the application? about this program. Can I still qualify for the credits? Where can I find the regulations governing these programs? Rehabilitation Tax Credits are dollar-for-dollar reductions in income tax liability for taxpayers who rehabilitate historic buildings. Credits are available from both the federal government and the Commonwealth of Virginia. The amount of the credit is based on total rehabilitation costs. The federal credit is 20% of eligible rehabilitation expenses. The state credit is 25% of eligible rehabilitation expenses. In some cases, taxpayers can qualify under both programs, allowing them to claim credits of 45% of their eligible rehabilitation expenses. The credits described above are available only for Certified Historic Structures, defined as follows. Certified as “contributing” to a district that is so listed. Certified as a contributing structure in a district that is so listed. With a few exceptions, a Virginia property that is listed on one of these registers is listed on the other. Please note, historic districts listed in the national and Virginia registers may be different from locally designated historic districts. Certification that a building contributes to a register-listed district (or is eligible for individual listing for purposes of the state credit) can only be obtained by submitting Part 1 of the tax credit application. The rehabilitation work for the entire project must meet The Secretary of the Interior’s Standards for Rehabilitation. If the project does not meet these standards, no part of the credit may be claimed. If the work is certified as meeting these standards, the credit is based on all eligible expenses. compliance with ADA and fire suppression systems and fire escapes. Acquisition costs, however, and any expenses attributable to additions or enlargements of the building, are not eligible. Under the federal program, site work and landscaping elements are not eligible expenses. Under the state program, certain site work may be eligible. Under the federal program, the project must be a “substantial rehabilitation” to qualify the investor for the credit. The Internal Revenue Service defines “substantial” as exceeding the owner’s adjusted basis in the building, or $5,000, whichever is greater. The adjusted basis is generally defined as the purchase price, minus the value of the land, minus any depreciation already claimed, plus the value of any earlier capital improvements. For owner-occupied structures, at least 25% of the assessed value of the buildings for local real estate tax purposes for the year before the rehabilitation work began. The rehabilitation does not have to be completed within any particular period of time. However, the “substantial rehabilitation” test (for the federal program) and the “material rehabilitation” test (for the state program) must be met within a consecutive 24-month period that ends some time during the year in which the credits are claimed. Essentially, this means that for most projects the greatest expenditures must be made within a 2-year period. For phased projects, the time limit is extended to 60 months. My project has taken longer than I expected, and although I have spent more than my adjusted basis in the building, I have not spent it within a 24-month period. Can I decide to phase my project in order to take advantage of the 60-month measuring period? No. In order to use the 60-month measuring period for a phased project, the taxpayer must phase the project from the beginning. This means that a phasing plan, showing what work will be completed during each phase of the project, must be submitted before work begins. For some projects, it may be a good idea to submit a phasing plan at the start of the project, even if there is a possibility the project can be completed within two years. This will “hold open” the 60-month time period, but does not obligate the taxpayer to take that long to complete the project. If my building is in a historic district that is not yet listed, can I start my rehabilitation anyway? Yes, but you do so at the risk that for some reason the district will not be listed. Generally speaking, it is a good idea to wait until the listing process is at least well underway and appears to be on track before doing any substantial work. You will not be eligible to claim the credit until the district is actually listed. If you complete your project before the district is listed, you will not be able to claim the credit at all unless the listing is completed within a year after your completion date. The state credit is claimed in the year the rehabilitation is completed. If the full amount of the credit is not claimed in the first year, it can be carried forward for up to ten years. There is no carry-back for the State credit. page of the NPS website. year after the year the rehabilitation is completed—in other words, if the building is sold after one year, there will be recapture of 80% of the credit, if it is sold after two years, there will be recapture of 60% of the credit, and so forth. Additionally, the National Park Service reserves the right to inspect a rehabilitated property any time during the five-year period, and to revoke certification if work was not undertaken as presented in the application, or if further unapproved alterations have been made. Under the state program there is no continuing ownership requirement following completion of the rehabilitation. Technically speaking, no. Credits may be syndicated through the use of limited partnerships, but they may not be directly sold. Syndication is a common tool for bringing investors into a rehabilitation project, but must be carefully thought out at the beginning of the project. Federal credits must be allocated according to percentage of ownership. The state credit, however, may be allocated by agreement among partners. By taking on taxpayers under a limited partnership arrangement and maintaining a minority ownership interest as a general partner, many nonprofit organizations have been able to use the tax credits to their advantage. Applying for the credit is a three-part process. properties that are individually eligible for listing. Photographs showing the property in its pre-rehabilitation state, along with a photo of each outbuilding or secondary resource, must be submitted with Part 1. Part 2 requests certification that the proposed rehabilitation work appears to be consistent with the Secretary’s Standards. Part 2 is the most complex part of the application. It requires a description of each significant architectural feature of the property and how it will be treated in the rehabilitation. Many property owners choose to complete Part 2 themselves using the Department’s Sample Rehabilitation Proposal as a guide. Others hire a professional consultant to assist them. 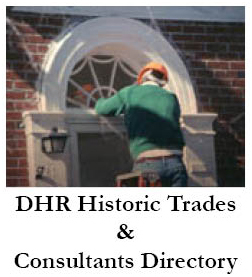 (DHR maintains a list of consultants who request listing their services.) Additional photographs of the property are sometimes necessary to document Part 2. Part 3 requests certification that the completed work is consistent with the Secretary’s Standards. Photographs showing the completed work must accompany Part 3. For the state credit, if the eligible expenses exceed $100,000, a CPA certification is also required. The size and clarity of the photographic images must adequately document the before and after conditions of the building. For the average project 24 to 36 photographs are generally sufficient. However, it is better to have more rather than too few photographs. Photos need to be in color, at least 4″-x-6″ and good quality resolution. If photographs are judged to be insufficient, the reviewer may place your application on hold and request additional photographs, which could delay your project’s progress. As noted in the application, photographs must be labeled with the following information: building name and/or address, view (e.g., north side), and description (e.g., plaster damage in dining room, north wall). Photographs must be numbered and keyed to the description of proposed work. Site and surrounding environment. Streetscape photographs are recommended for urban buildings. All exterior elevations. Where elevations are partially blocked by adjacent buildings or trees, it may be necessary to take several photographs from different angles to show the whole elevation. Typical exterior features: siding, window sash, foundations, roofing, shutters. Details of deteriorated exterior features: peeling paint, failed mortar joints, deteriorated sash. Exterior areas where major rehabilitation work is proposed. Major interior spaces: hallways, stairways, parlors, and principle rooms. Wide-angle photographs are strongly recommended. Typical interior spaces, including all areas to be affected by the rehabilitation. Major interior features: staircases, mantelpieces, woodwork, etc. Representative interior finishes: peeling paint, failed plaster, rotten woodwork, previously altered features. Interior areas where major rehabilitation work is proposed. 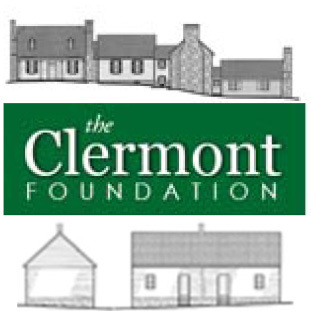 I began rehabilitating a historic building last year, but I have just learned about this program. Can I still qualify for the credits? Possibly. It is much more difficult to qualify for the credits if you do not submit Parts 1 and 2 before beginning work, but in some cases it may be possible. You must have good photographs showing the building before the rehabilitation work began, as described in the preceding question. If you do not have this documentation, you probably cannot qualify for the credits. Additionally, the work which you have already completed must meet the Secretary’s Standards. necessarily fatal to the state credit, provided that all other requirements of the program are met. However, the deadline for application for the state credit is one year after your completion date. You must submit a complete, fully documented application by this date in order to qualify for the state credit. See this advisory on projects already started. The federal credit is claimed on IRS Form 3468. The IRS requires information related to the substantial rehabilitation test and a copy of the certification of the completed work by the Secretary of the Interior. To claim the state credit, the taxpayer must complete the state Schedule CR and attach a copy of the certification of the completed work by the Department of Historic Resources. The federal regulations governing the National Park Service’s review of tax credit applications are found at 36 CFR 67. The regulations governing the use of the tax credit itself (the IRS regulations) are found at 26 CFR 1.48-12. The Virginia legislation authorizing the state tax credit is found at Virginia Code. §58.1-339.2. Establish stricter reporting requirements to ensure the integrity of financial data. Additionally, the amendments revised the existing fee structure to more accurately reflect the time and professional expertise necessary for DHR’s review of projects. For additional information on the federal program, check out the National Park Service’s website. To speak to a DHR tax credit staff member or to make an appointment, please call (804) 482-6446.